For those chilly days we have toasty warm Hand Knitted Alpaca Gloves. 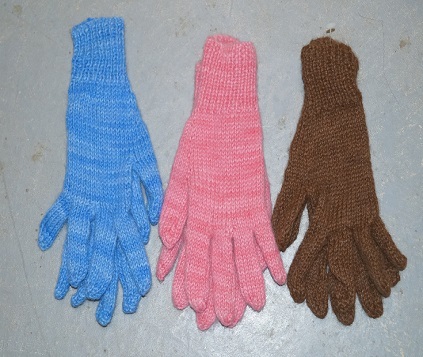 These 100% Alpaca fibre gloves come in natural colours or in range of hand-dyed colours. They are made with a generous length in the fingers and to the wrist-great for tucking under your jacket sleeve!